For your safety and peace of mind, always work with an asbestos certified contractor in Hacienda Heights CA like AQHI Inc. If asbestos has been discovered on your property, your health is at risk. The best way to eliminate this risk is to trust your asbestos removal to an asbestos certified contractor in Hacienda Heights CA such as AQHI Inc. We have earned 5 different certifications related to asbestos remediation and disposal and completed thousands of successful projects. Safety: At AQHI Inc., we follow strict safety protocols on asbestos removal projects of all sizes. We create a sealed work zone to contain asbestos fibers released during removal work, we make sure our employees don’t track dust out of the work zone, and we use wet and dry cleanup methods when the job is complete to eliminate all asbestos residue. Compliance: As an asbestos certified contractor in Hacienda Heights CA, we comply with all rules and regulations on asbestos handling and disposal. Our compliance makes it easier for commercial property owners to secure the clearances they need to reoccupy their buildings following work. Peace of Mind: Unqualified contractors may be more likely to have accidents on the job and less likely to be able to pay for these accidents. Why risk it when you can simply hire AQHI Inc. for better work and better peace of mind? 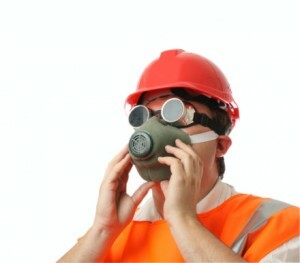 In the unlikely event of an accident, our insurance will cover any worker injuries as well as any asbestos pollution. Unfortunately, your average asbestos certified contractor in Hacienda Heights CA is not really certified for all the services you need. Specifically, they may be missing the necessary certification to transport asbestos waste to an approved disposal facility. This will leave you facing the hassle and expense of hiring a separate contractor for this service. At AQHI Inc., we have the special certification required to transport asbestos in California, so we can provide truly complete asbestos removal service for you. Our quotes always include removal, disposal, and cleanup. Remember, if you have asbestos-containing materials that are damaged, you have an active health risk on your property. Why risk your health with a DIY cleanup when you can simply call an asbestos certified contractor in Hacienda Heights CA like AQHI Inc. for asbestos abatement services? We’ll act quickly to dispatch a team to contain and then eliminate the contamination on your property. Our asbestos removal office for Asbestos Certified Contractor in Hacienda Heights CA is open Monday through Friday between 8:00 AM and 5:00 PM and closed for lunch from noon to 1:00 PM. With advance notice, projects can be scheduled for weekends, early mornings and evenings.